Unleash the Power of Your Tractor! We are excited to announce the launch of a whole new category of DR products! Tractors are common pieces of equipment on country properties. So we thought it made good sense to expand our line of tractor towable equipment. Now, we can provide even more ways for you to get the job done right! 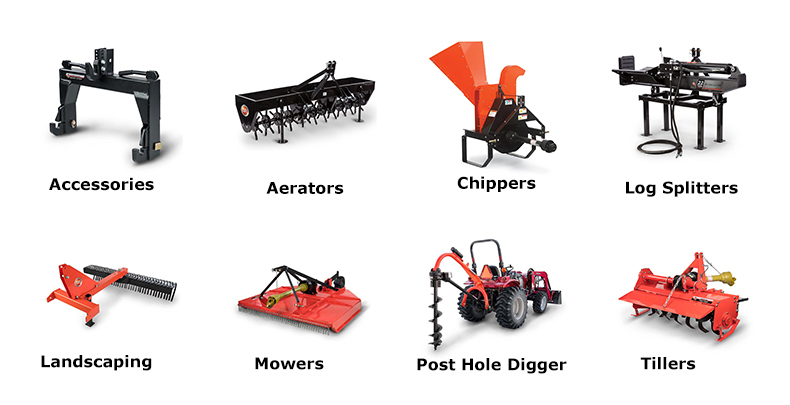 This Spring we launched 7 new products to go along with the other DR Tractor Attachments that we already have in our great line of products. Now you can easily find attachments to make your tractor work for you! 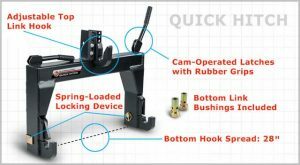 This quick hitch will help you to get tractor attachments on and off with ease. Just install it once and it will make any 3-point hitch come off fast and without tools! Just make sure you verify that your implements are Quick Hitch compatible. The landscape rake is perfect for grading gravel roads, leveling lots, removing rocks from fields and much more. This rake is great for tasks that don’t accumulate a lot of materials. Its able to be angled in either direction making it a good choice for you to move gravel or channel it to build a crown for your road. Our rear grader blade is a versatile attachment that can assist in all sorts of tasks like snow removal and dirt road maintenance. This versatile blade can be used straight on or at an angle. It is also reversible so you can operate your tractor forward or in reverse. 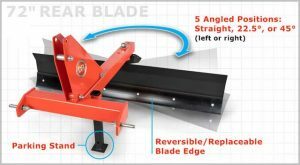 This box blade is designed for Category 1 tractors, it comes with five ripper teeth and a trailing blade. 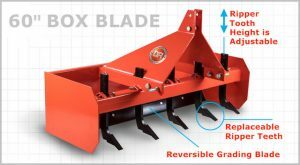 The box blade is ideal for grading driveways and open lots in just a few passes. You can trap up to 12 cubic feet of material in the moldboard. 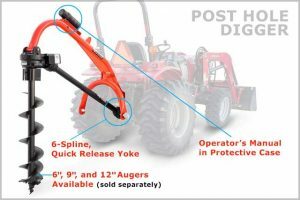 With our post hole digger, you can now put in fenceposts at a much faster rate than a shovel. No more backbreaking work for jobs that need pilings or fenceposts. This commercial grade implement is a good fit for Category 1 & 2 tractors. 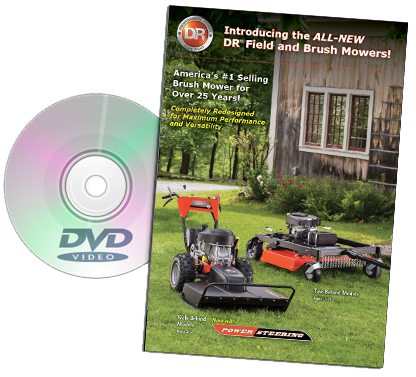 Looking for something to help your tractor clear your fields? Our PTO Brush Mower will put your tractor to work by clearing fields and cutting trails through dense overgrowth. 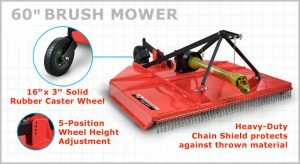 This Category 1 mower has an 11-gauge, welded steel mower deck, two swinging brush blades and a cast iron gearbox. 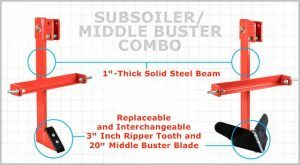 The Subsoiler is the perfect tool for improving your soil! 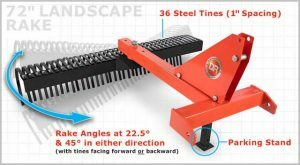 You can improve your soil for planting and manage drainage with this rugged, dependable attachment. With the subsoiler, you can dig down to 18″ to break up soil.